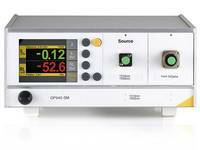 Optotest Corp. was founded in 2002 by Richard Buerli. Former chief engineer at RIFOCS, he became known primarily for his work in pulsed measurement technology. He developed a technique for the measurement of RL that can be applied without having to wind up the fiber first. This was a major breakthrough in RL measurement considering how unpopular the winding of fibers is.